Yesterday I picked my first strawberries and they were plentiful. I picked loads into the trug as pictured. Mind you there were also lots of mouldy ones where the rain had got to them, but there were lots of lovely red ones. Neil had made a netting shroud to go over and around the strawberry beds to keep the birds off, especially the blackbirds, as they are very partial to strawberries, so that had helped keep our crop OK.
Last night we had strawberries and cream for dessert at dinner, then this morning we had them on our breakfast cereals. I also cut some up into my yoghurt at lunchtime. 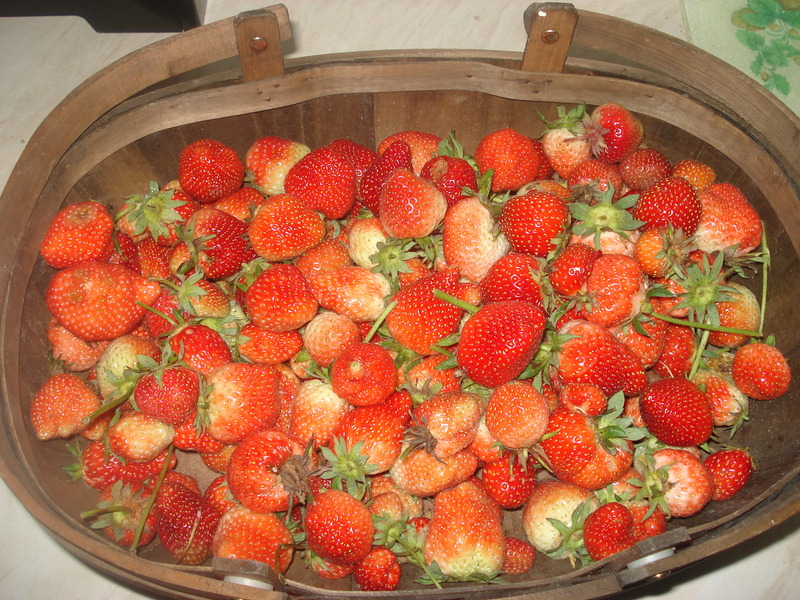 Its not difficult me for to eat them with every meal as I love them so much, but I guess I shall be making some strawberry jam soon too for my B&B guests to have with their breakfast. 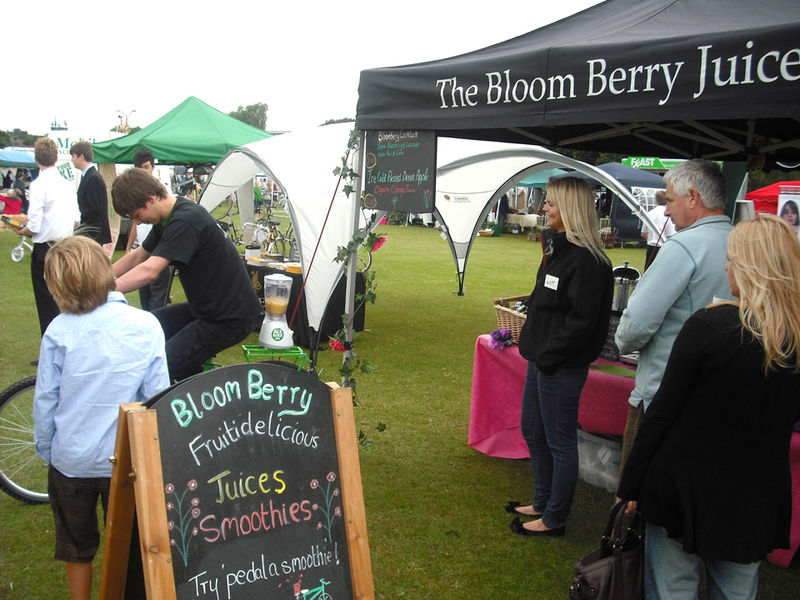 Last Sunday we went to the Sustainability Show in Taunton. There were lots of tents and marquees showing everything “green” from organic food, to Yurts and Shepherd’s Huts, lots of solar panels, air source heat pumps, poultry and wildlife. Luckily the sun shone and we were able to wander around in the dry. The very first stall we went to was from an owl sanctuary. 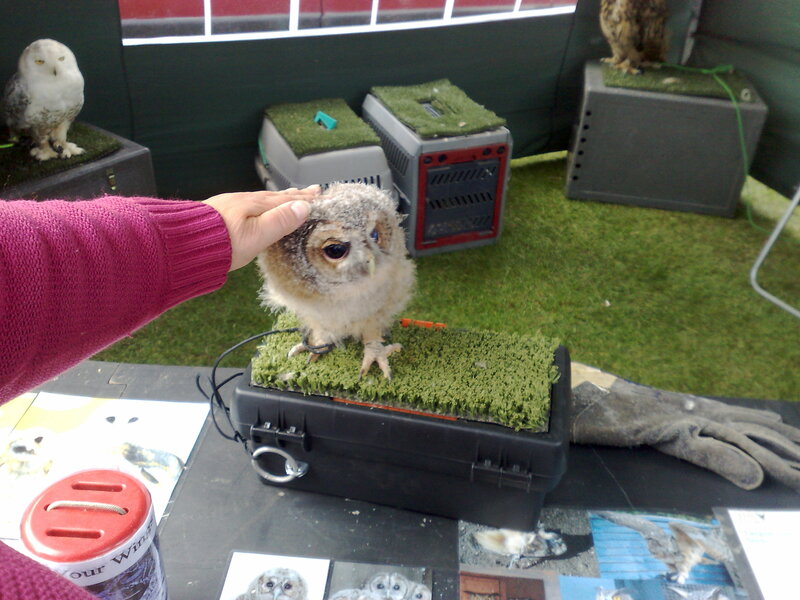 This little owl was only 9 weeks old, and I was able to stroke him. His feathers were just so soft!! 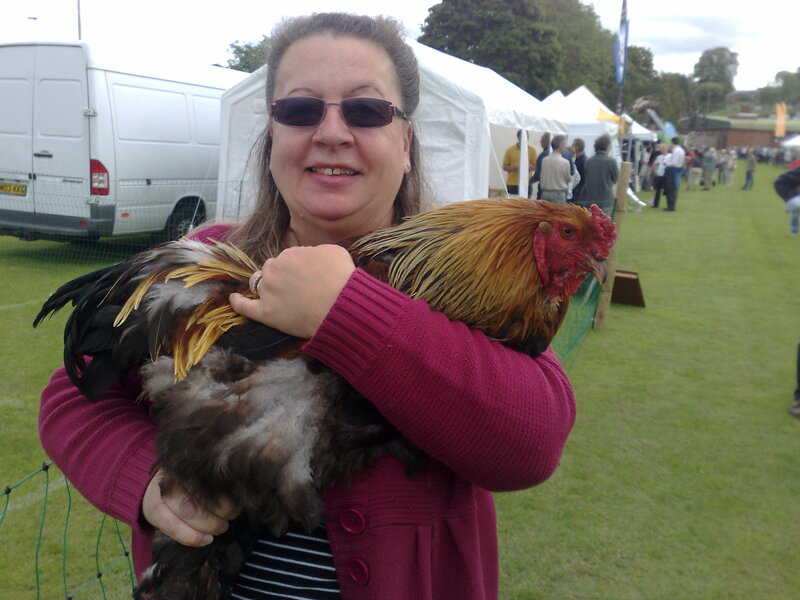 Another stand was from a poultry farm not far from us. We talked to the guy about pure breeds versus hybrids and found that all our hens were hybrids, none of them were pure breeds, something we didn’t know. He had some large Brahma hens and a handsome Brahma cockerel, that he said wasn’t agressive, so he picked him up and handed him to me. We spent ages talking to a guy about air source heat pumps and underfloor heating which we would like for the derelict section of the house when we renovate it. Really good to go to a show and have a look around at new technology and everything “green”. We even shared an organic pizza between us for lunch!! Now we have to think of putting some new ideas into practice. On Monday 18th June it was our 18th wedding anniversary. 18 years on the 18th!! So we decided to take ourselves out somewhere rather than just work all day long. 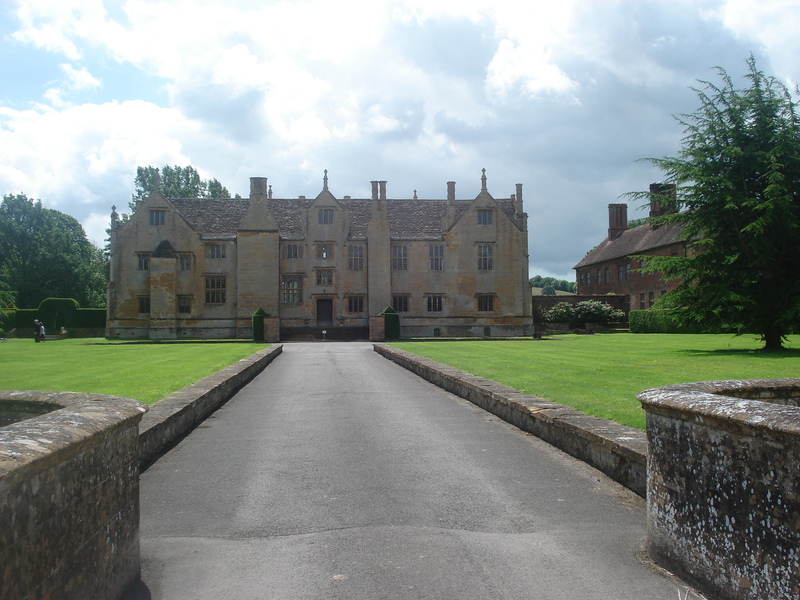 We visited Barrington Court which is a National Trust house quite close by, only about 12 miles away. 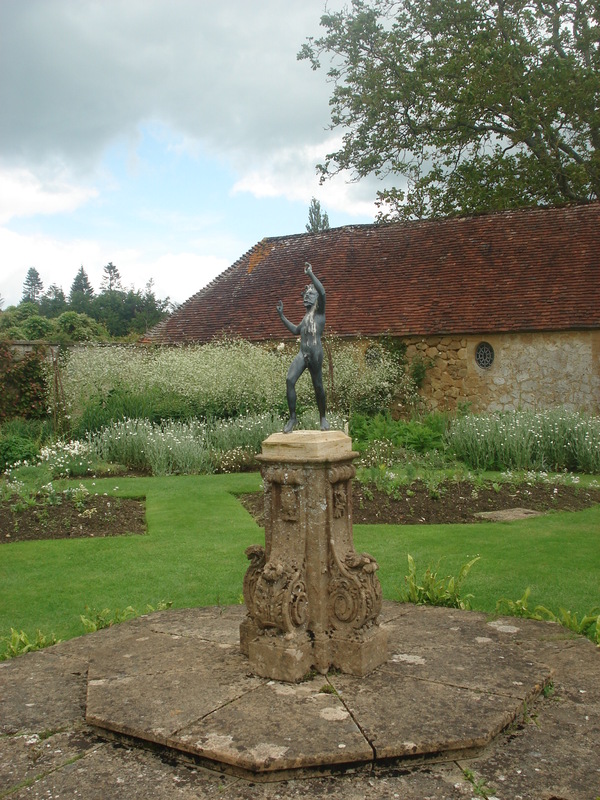 Barrington Court was the house the National Trust every acquired, and due to the extensive renovations required, it was almost the last!! Unfortunatley is now stands empty except for the moment for an exhibition by Anthony Gormley called “Field for the British Isles” and comprising literally thousands of tiny clay figures. We are told that “although each figure is unique, the entire mass suggests past and future generatons and reflects humanity as a whole”!! So now you know!! We weren’t allowed to photograph them so sorry no photo of these funny little figures. 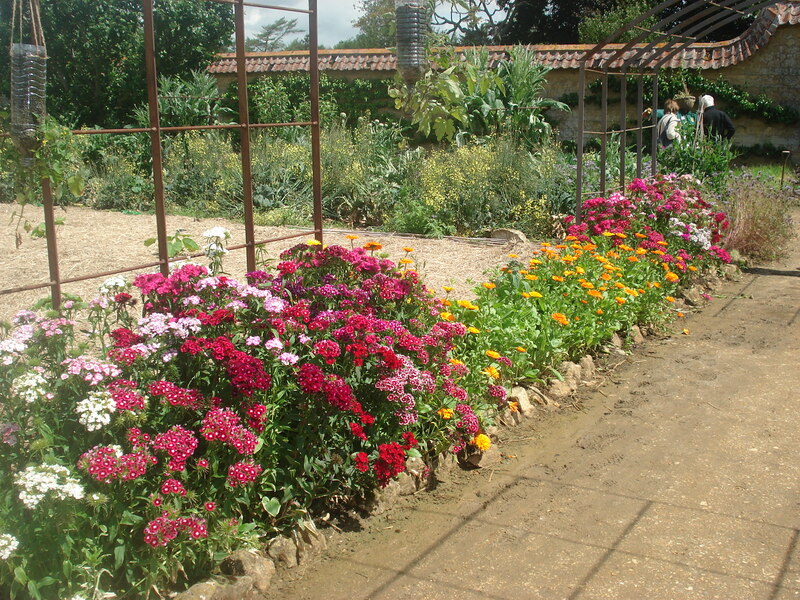 Anyway we spent most of our time touring the gardens. 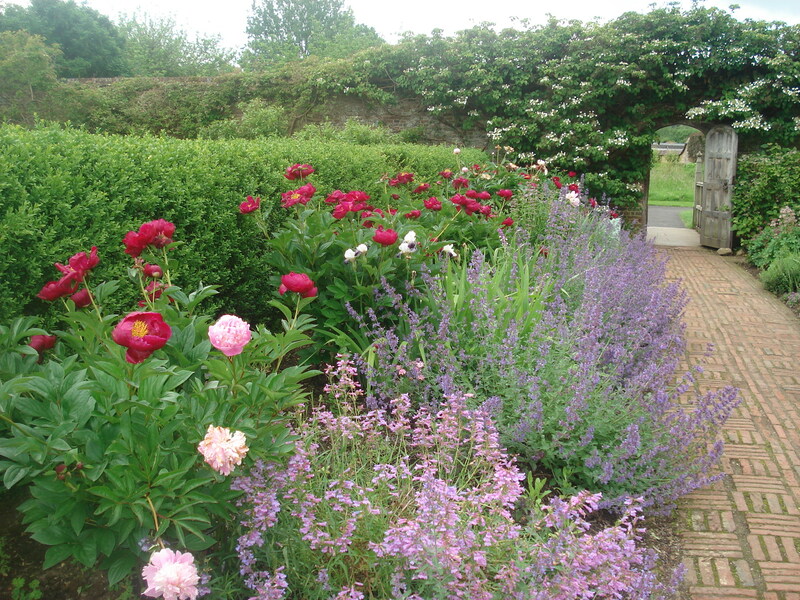 There was a fabulous walled vegetable garden, I am very jealous, wouldn’t I just love a walled garden? 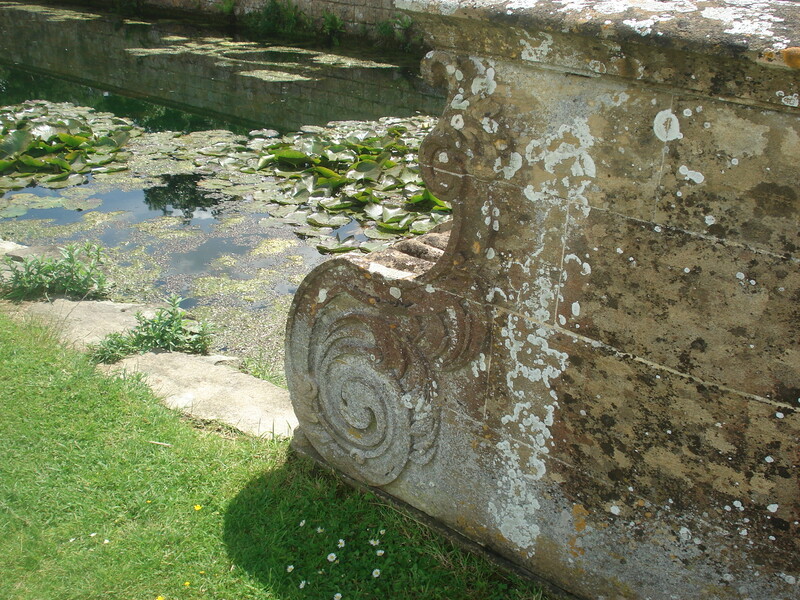 There was also some lovely stone work by one of the bridges. How ornate they used to make things even a bridge! 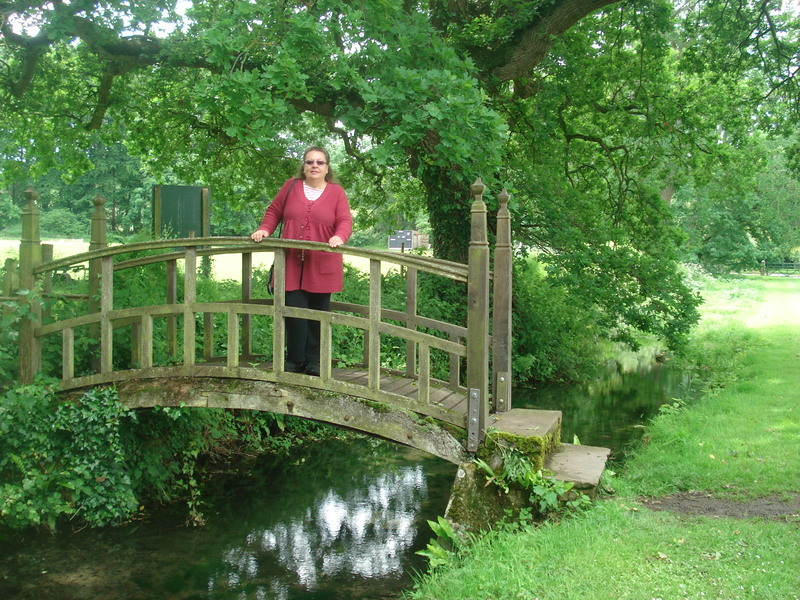 Anyway we were lucky as the sun shone for us as we wandered around. We stopped there for some lunch before heading back home. It’s lovely visiting some of these historic old houses and we are fortunate to have this one so close by. 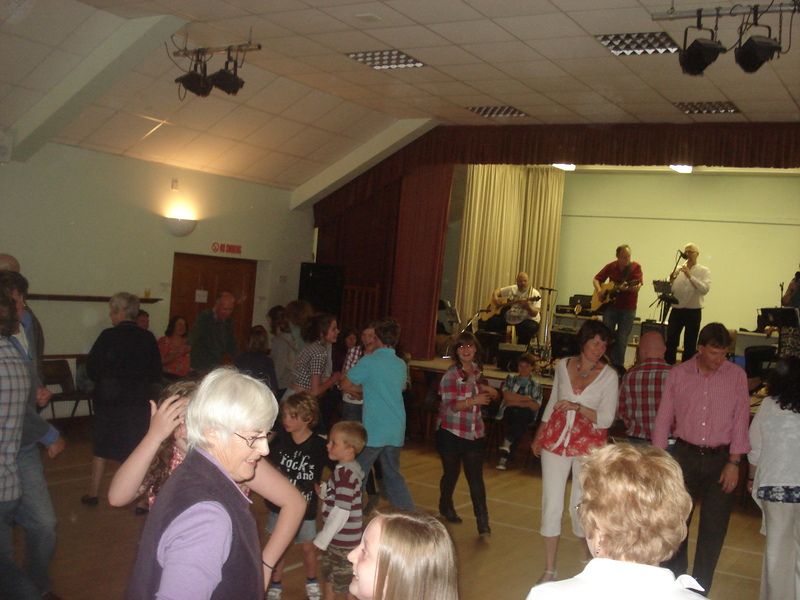 On Monday evening the villagers of Bishopswood and Buckland St Mary got together for a barn dance in the village hall. 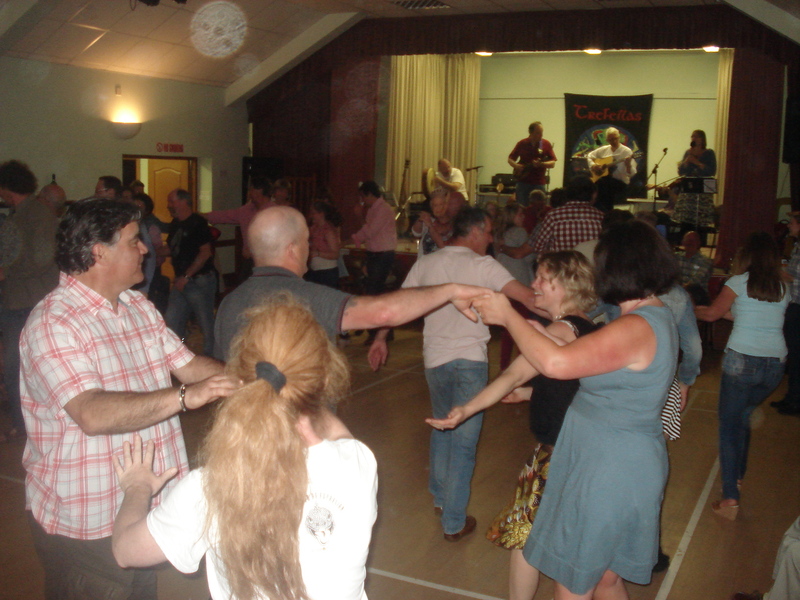 We had a band called “Trefellas” who played celtic type music and a caller who took us all through the dance moves. Lots of people turned out and most people joined in the dancing. It was a great community event, getting people to mix together and generate community spirit. The Bishopswood Ladies prepared a delicious spread of food. There was a ploughmans with lots of salad and for dessert apple pie or trifle. After an hour’s break for the food, we continued with the dancing. 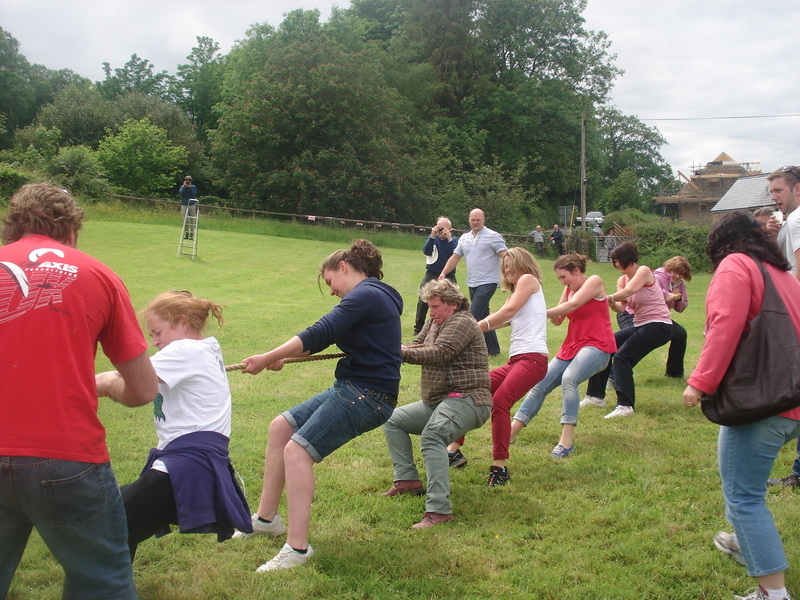 Lots of fun as people got in a muddle and arms and legs went all over the place!! It was so popular that again people want it to become an annual event, so what started as jubilee celebrations could become part of the tradition in these villages. 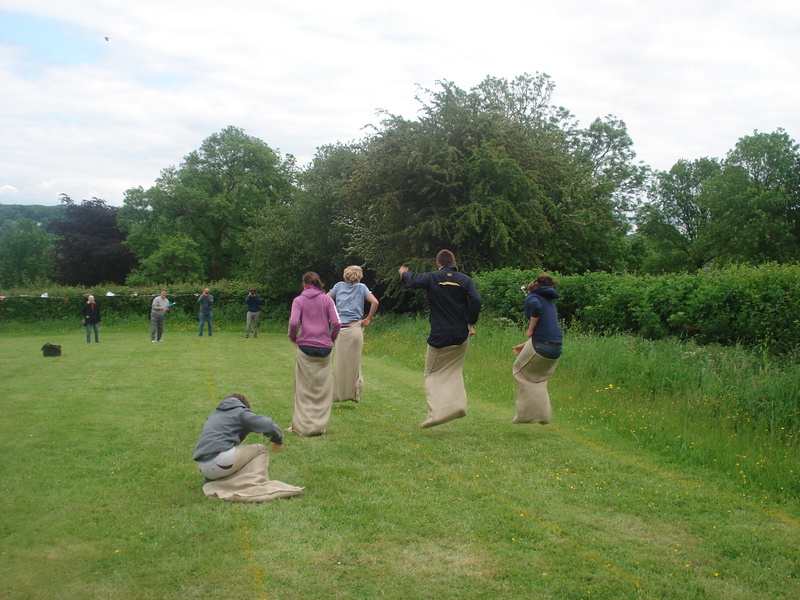 On Monday afternoon we had the mini olympics between the 2 villages of Buckland St Mary and Bishopswood. There was the egg and spoon race, firstly the adults then the under 16’s, and similar age splits for the 3 legged race and the sack race. 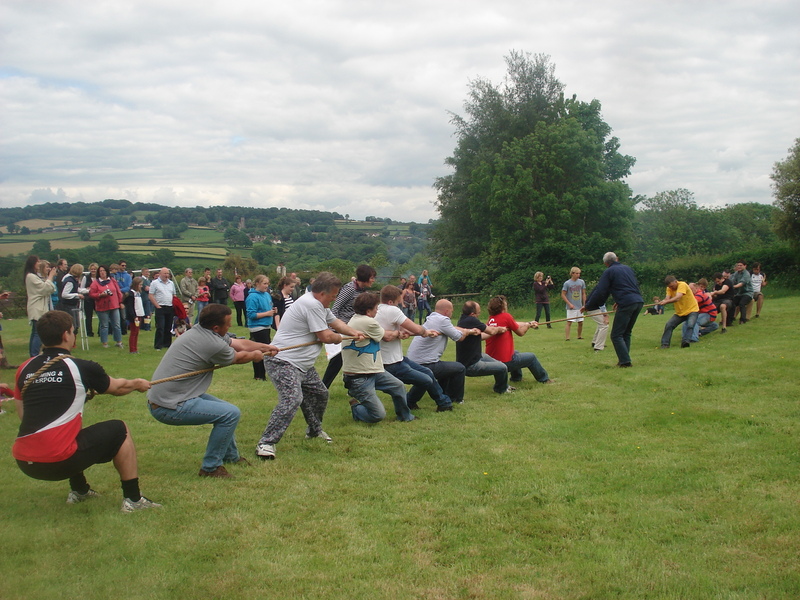 There was penalty shoot out, and the shot put, and then of course the tug of war. The first one was the men, Bishopswood versus Buckland St Mary – 8 strong men each side, lots of huffing and puffing and a decisive win for Buckland St Mary 2 nil. Then it was the turn of the ladies, only 7 a side this time. First pull went to Bishopswood, second to Buckland and then the decisive third pull to Bishopswood. Nevermind it was a valiant effort and more than I could have done!! The afternoon was finished off with a game of rounders. The overall winners between the villages of Bishopswood and Buckland St Mary, were Bishopswood, but nevermind Buckland it looks like it might become an annual event, so next year we can compete some more. 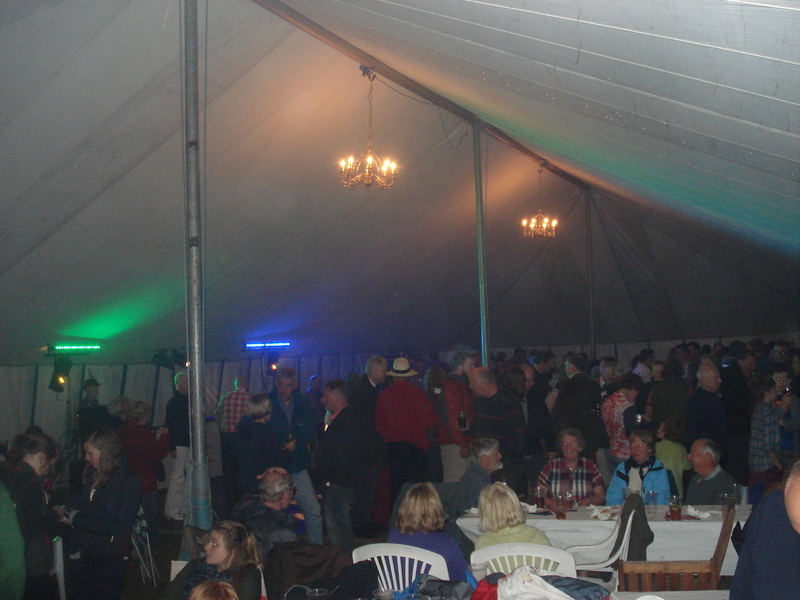 Saturday evening there was a hog roast and disco in a great big marquee in Buckland House. Over 200 local people attended, and we all had to queue up for the hog roast in a bap, but it was worth the wait. Unfortunately it rained that evening and the actual hog roast was outside the marquee, so a quick dash in the rain to pick up our food and then back to the marquee. But I had to laugh as where we were sitting the marquee leaked and we were being dripped on.